Computer technology and numerical methods have rapidly developed and complex internal flows within turbomachinery can be predicted with reasonable accuracy. For turbomachinery design, the CFD design has already become a daily practice. 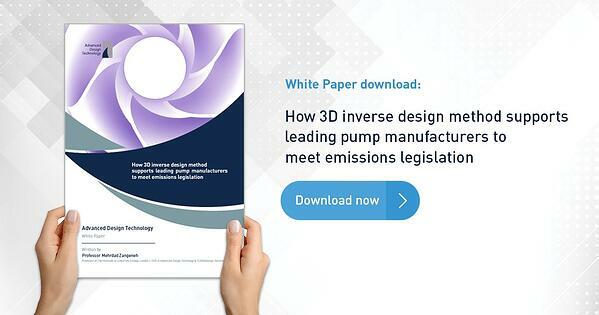 Moreover, turbomachinery design using the 3D inverse design method provides the advantage to meet emissions legislation to deliver higher performance, improved efficiency and breakthrough designs. 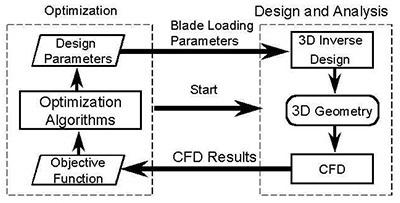 The 3D blade shapes that require blade loading distributions are able to be designed using the 3D inverse design method. So, it is easy to control the performance of turbomachinery while keeping the design specifications. The suppression of meridional secondary flows on the blade suction surface of a mixed flow pump impeller can control the blade pressure distribution using the 3D inverse design method. To obtain high performance turbomachinery design using the 3D inverse design method, it is important to accelerate the optimization process for blade loading distribution. Researchers on optimization problems in engineering design are becoming active. 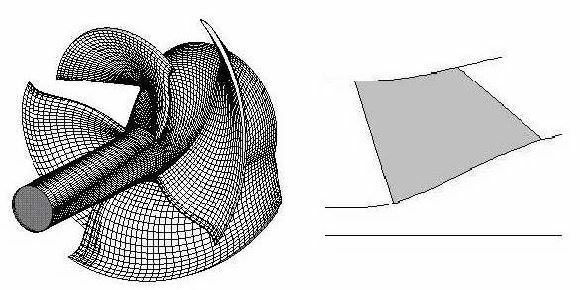 Turbomachinery design using optimization algorithms and CFD have large possibilities. Generally, optimization problems of turbomachinery design have the following three difficulties. Turbomachinery internal flows are highly complex 3D flows, and 3D Navier-Stokes CFD is desirable to evaluate the performance of turbomachinery in optimization problems. The calculation time for one case becomes very large, and the total optimization time tends to become impractical. There is the problem of how to define complex 3D blade shapes by using fewer design parameters. If we define geometry parameters directly to represent complex 3D blade shapes, the number of design parameters tends to become very large. Also, many cases may be explored in optimization which does not satisfy the design specification. 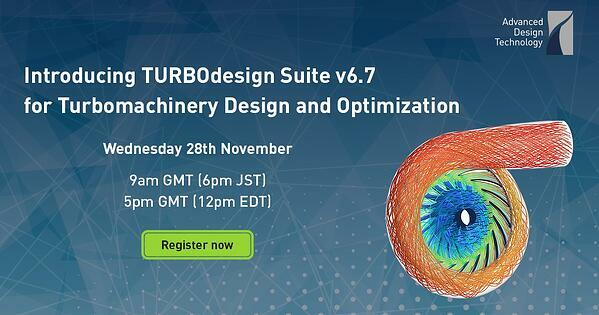 These factors extend the optimization time, so, it is important to reduce the design parameters in order to achieve optimization in turbomachinery design in a reasonable time. The optimization results depend on the optimization algorithm. If the parameter space can be assumed as unimodal, convex, and continuous, numerical optimization algorithms are effective. These typical search processes consist of finding a search direction and then searching along that direction to find the minimum. In this case, the optimum result can be easily obtained. But if the parameter space is a multi-peak problem, exploratory optimization algorithms which include a factor of probability is required to obtain the global optimum. It is important to recognize the features of the parameters. To solve the first two problems, a hybrid method combining the 3D inverse design method and CFD is effective. It is important and valuable to have an automatic optimization strategy with the 3D inverse design method and the Navier-Stokes solver. In this method, the blade loading parameters, which are the major inputs for the 3D inverse design method, are treated as design variables and the turbomachinery performance predicted by CFD was treated as an objective function of the optimization problem. The blade loading distributions can be represented by relatively a few parameters. It is also possible to design turbomachinery blade shapes that always keep design specifications using the 3D inverse design method. It can be expected to carry out the optimization of 3D turbomachinery blade design in a reasonable time. Download our publication to learn how a turbomachinery blade optimization system based on the 3D inverse design method, CFD, and optimization software is discussed to significantly improve turbomachinery performance and higher points in design efficiency. The optimization system is applied to a diffuser pump impeller to investigate the optimization algorithm dependency of the design system. Finally, the optimization result of the diffuser pump impeller is shown, which has maximized efficiency with constraints on the minimum suction. What is blade loading and how is it specified? Would you like to discuss your current design tools and design strategy? Get in touch now and learn how you can optimize your blade loading and design process. Complete the short form below and a member of the ADT engineering team will reach out to you.